The simplicity of this still life is what captivated me. 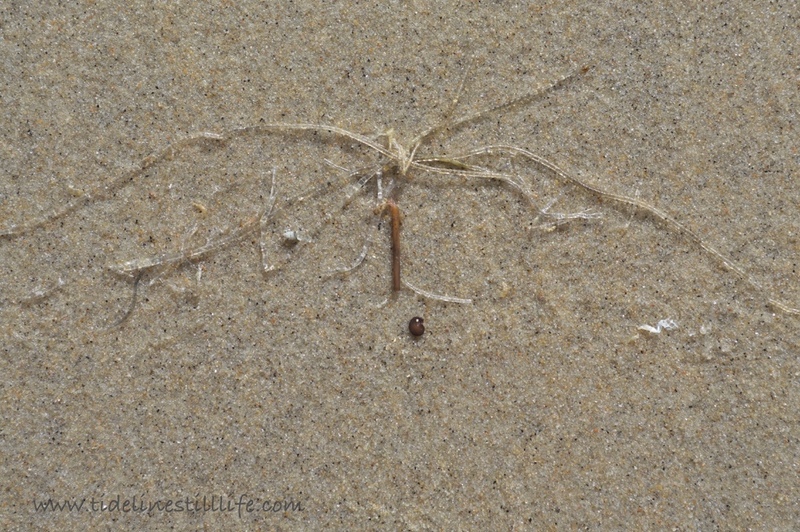 The ‘branches’ were some sort of transparent marine plant, and they blended into the wet sand. Their almost invisible delicacy, and their placement with the salp and the other minute objects, created a minimalist tableau with an air of surrealism. The forms remind me of some of Miro’s paintings. Perhaps surrealism is not as far removed from natural forms as we sometimes believe.